We receive dozens of emails and Facebook messages every day from people looking to surrender their dog to us, or who have found a stray pit bull and need to find a home for it. While we would love to take in every dog that needs a home, the reality is that we do not have the resources. We pull dogs from kill shelters every day to save them from euthanasia. To be perfectly honest, your dog is YOUR responsibility and you need to look out for his or her best interests. The dogs in the shelter have no one to look out for them but us. They are there because their owners already let them down. Don't be that person. Have the patience and persistence to find your dog the right home. They are a part of your family and deserve your best effort to do the right thing. Finding a new home for your dog involves several steps. We are providing the following resources, courtesy of Pit Bull Rescue Central, to help you with this task. (Links may all direct to PBRC home on a mobile device. 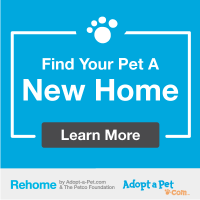 If you encounter this problem, click on the "Rehoming Your Dog" link on their home page). ​​Do You Really Have To? ​​​In the event that you do decide to rehome your dog, and you did not adopt from us, we recommend PAWS Adoption Center, SICSA, rehome.adoptapet.com, orhome-home.org. You could also try these rescues. (We make no endorsement of any rescue or organization on this list).